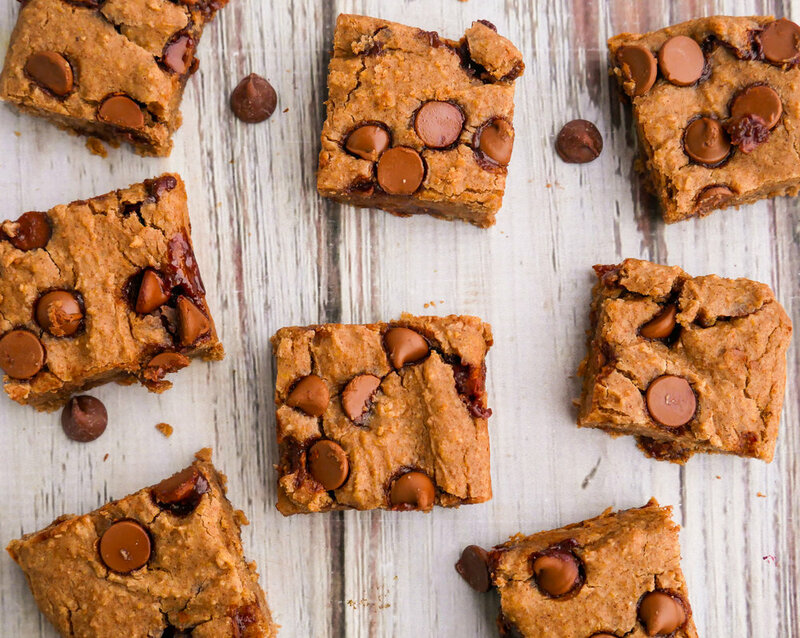 These super soft, gooey, salted chocolate chip blondies are made with chickpeas, but you’d never know it. My skeptical sweet tooth was pleasantly surprised! 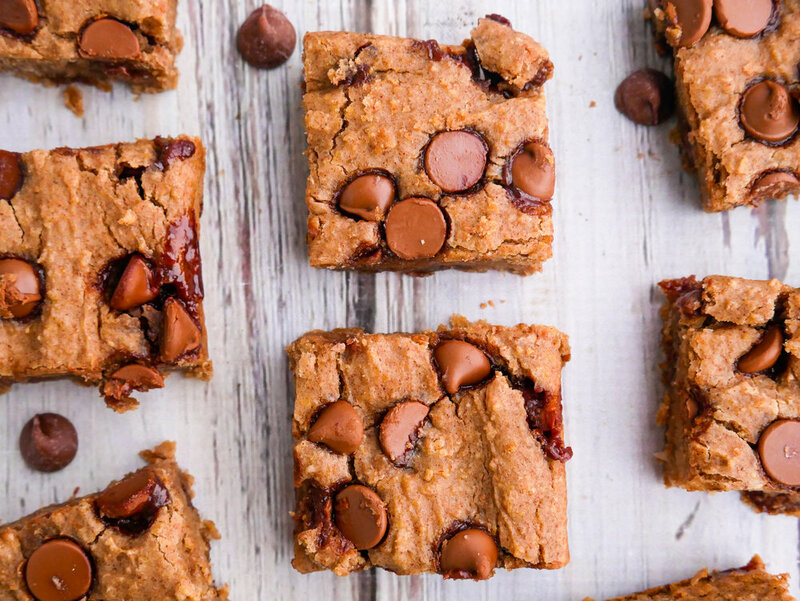 The best part about these blondies is that the chickpea cookie dough is vegan so you could just eat it with a spoon. They’re gluten-free, high in protein and sweetened with maple syrup. All you need is a handful of pantry staples and 10 minutes of prep to whip up these buttery soft blondies. Preheat oven to 180 degrees on fan bake. Line a loaf pan with baking paper. In a food processor or high speed blender mix the chickpeas, almond butter, maple syrup, almond flour, salt, baking powder and baking soda. The mixture should be smooth. Once blended fold in the chocolate chips. Pour mixture into the loaf pan and bake for 25 minutes or until it starts to turn golden. Remove blondie from the loaf pan and let cool for 30 minutes before cutting into. Store in an airtight container in the refrigerator.